The mother of Mother’s Day was a woman named Anna Jarvis, who, despite never becoming a mother, spent many years advocating for a national day for mothers because she felt they didn’t get enough recognition for all they did. Unfortunately, after she was successful in her campaign, Jarvis became so distraught by the commercialization of Mother’s Day that she eventually denounced the holiday and campaigned against it. Here’s the true story of Mother’s Day and how it became something that its original creator never intended. Beyond the modern incarnation, the earliest instances of something like a Mother’s Day can be traced back to the ancient Egyptian celebration for the goddess Isis. Important to the Egyptians because of her connection to mourning and healing the sick, Isis was often shown as a mothering spirit and a role model for women. There were two celebrations associated with Isis, the largest of which took place for four days from October 31st through November 3rd. This festival’s highlight was a passion play showing how Isis brought her husband, Osiris, back from the dead. While both the Greeks and Romans held festivals that celebrated their motherly goddesses, Rhea and Cybele, it is the Christian festival “Mothering Sunday” that’s more of a precedent to what we celebrate today. Taking place on the fourth Sunday of Lent (which falls in the month between Ash Wednesday and Easter), “Mothering Sunday” is still celebrated (mostly in the UK and parts of Europe) but, traditionally, has little to do with the American version “Mother’s Day.” Religious in nature, the holiday marks the day that people go to their “mother” church to worship, as opposed to their normal “daughter” church. The “mother” church is the largest in the area, the one that the smaller parishes spawned off of. Since this is often a day that the entire family gets together to attend the same church services, it has since become a day to celebrate mothers as well. It also became tradition for younger kids to pick wild flowers and give them to their mother on this day. 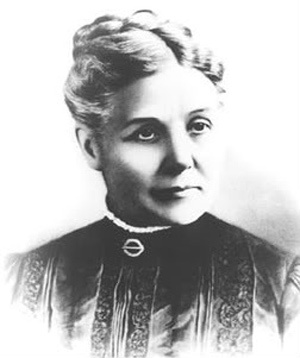 If Anna Jarvis is considered the mother of American Mother’s Day, then Ann Maria Reeves Jarvis should be considered the grandmother. 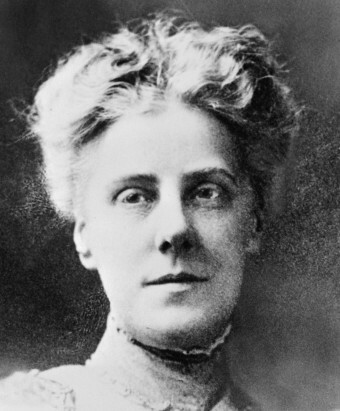 Anna Jarvis’ actual mother was a community leader in Barbour County, West Virginia and organized a series of “Mothers’ Day Work Clubs” across the county. Their aims were to raise money and help out mothers who could not afford medicine or medical attention for their families. Additionally, they inspected bottled milk and food for contamination at a time when the federal government didn’t do such things. When the Civil War commenced, Jarvis asked her club members to pledged neutrality in the conflict and helped soldiers from both sides take care of their families. After the war, in 1868, Jarvis organized “Mothers’ Friendship Day,” an event that brought together mothers from both the Confederate and Union sides to promote peace and reconciliation. Despite authorities thinking it would erupt in violence, it was a great success and was held for several years afterwards. The day also inspired famed women’s rights activist and composer of the “The Battle Hymn of the Republic” Julia Ward Howe to write the 1870 “Mother’s Day Proclamation, which called for women to take be more politically active in promoting peace and pacifism. Ann Maria Reeves Jarvis died in 1905, but her daughter took up the mantle of asking women to be more engaged in public affairs. Legend says that Anna Jarvis conceived the “Mother’s Day” holiday while at her mother’s funeral standing beside the open grave. Whether true or not, wanting a specific day to honor people like her mother – hard working, proud and rarely celebrated – she wrote thousands of letters to prominent Americans, including President Teddy Roosevelt and Mark Twain, asking for them to consider her idea. Its whiteness is to symbolize the truth, purity and broad-charity of mother love; its fragrance, her memory, and her prayers. The carnation does not drop its petals, but hugs them to its heart as it dies, and so, too, mothers hug their children to their hearts, their mother love never dying. When I selected this flower, I was remembering my mother’s bed of white pinks. She also trademarked an official Mother’s Day seal and incorporated her “Mother’s Day International Association.” She even had a slogan – “in honor of the best mother who ever lived — your own.” Needless to say, she took Mother’s Day very seriously. Jarvis also went after the US Postal Service because they issued a Mother’s Day stamp featuring a white carnation, which she thought was a blatant advertisement for the floral industry. On November 24, 1948, Anna Marie Jarvis died at the age of 84. When Did Teen Girls Commonly Stop Getting Married? The oldest known woman to become a mother was 73 year old, “Mrs. Steve Pace.” (Her husband was Steve and her first name unknown). She gave birth to her 17th child in 1941, 23 years after her 16th was born. The youngest known mother in history was just 4 years old when she got pregnant, and gave birth at the age of 5. Unlike Mrs. Steve Pace, a lot is known about this girl. You can read more about her here. In France and Germany, early mother’s day celebrations were largely spurred by low birth rates, giving rise to the governments pushing honoring of mothers to help increase the number of babies born. In France, they honored mothers who had a high number of children with actual awards. For instance, in 1906, a group of mothers who had 9 children each were given the High Maternal Merit award. In Germany, a similar program was pushed and eventually the Nazi party not only honored mothers who had many healthy Aryan children, but also pushed the idea that the highest honor for any mother was to have their son die in battle fighting for Germany. As a specific measure to encourage more children, the government began awarding medals, much like France. In this case, the “Mutterkreuz” (Mother’s Cross) medal was given on Mother’s day and at certain other times. This had different levels with the highest level being the gold cross, for mothers who had 8 or more children. However, as you might expect from the Nazi party pushing it, a woman could be disqualified from receiving the award if she or her children exhibited undesirable qualities like ill health, drinking problems, and even such things as “politically unreliable” or being friendly with Jews. In the U.S., 3.98 million women (from 15-50) gave birth to a child in 2014 and a full 81% of women 40-44 years old have had at least 1 child in their lifetime. Interestingly, in the 1970s, 90% of women in that same age span had given birth to at least 1 child. The 1970s also saw the highest rate of teen pregnancy at almost three times 2014’s rate of 26.2 births per 1,000 women from 15-19. Not only is the birth rate declining, but the average age of giving birth for the first time is going up. For instance, in the early 1980s, the average age of a woman having a baby for the first time was 22. Today it’s 26, and still rising every year. The highest birth rate per woman in a U.S. state comes, not surprisingly, from Utah, where the average is 2.45 births per woman in the state. The lowest is Rhode Island at 1.63. Speaking of changing family trends, while you’ll often read that there is a “50% chance” of any given marriage ending in divorce, this isn’t quite accurate, or at least doesn’t tell the whole story. It is only a rounded estimate looking at the raw figures of marriages each year vs. the number of divorces. This doesn’t take into account repeat divorcees, which skew the totals in any given year. In fact, 67% of second marriages and 73% of third marriages end in divorce. The average divorce rate for first marriages is only about 41% in the United States, and these divorce rate figures have been declining significantly in the last few decades. On top of that, marriages where both partners have a college degree only end in divorce about 25% of the time. While Jarvis hated the commercialization of Mother’s Day, in fact, it is very possible that had it not been commercialized it would have been largely relegated to a minor holiday, or disappeared altogether, as has happened to numerous other such holidays over the centuries. As you look at the history of holidays, the ones that survive and become extremely popular are nearly always the ones that get commercialized in some way. If there’s money to be made on a certain holiday, businesses will literally advertise the holiday, making sure that it is as popular as it can be and that it sticks around. Anna Jarvis has something to do with it, but it WA originated in 1887 by a Henderson Ky woman.